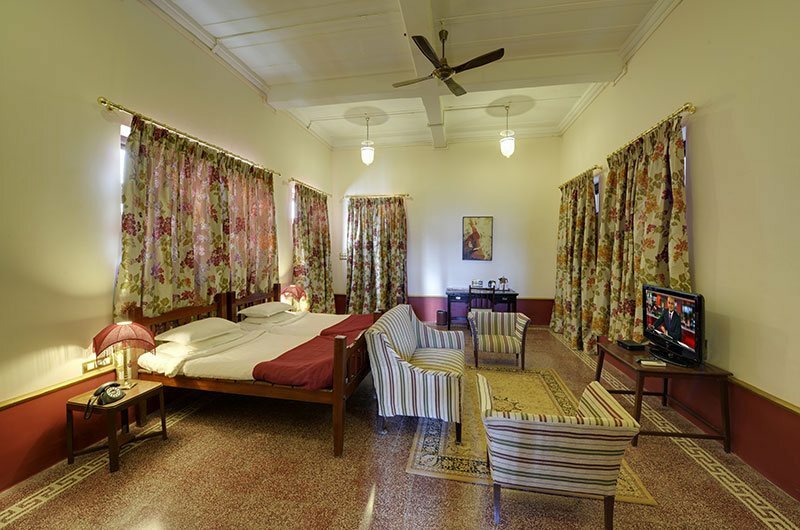 The hotel rooms are elegantly designed and spacious offering old world charm hospitality. 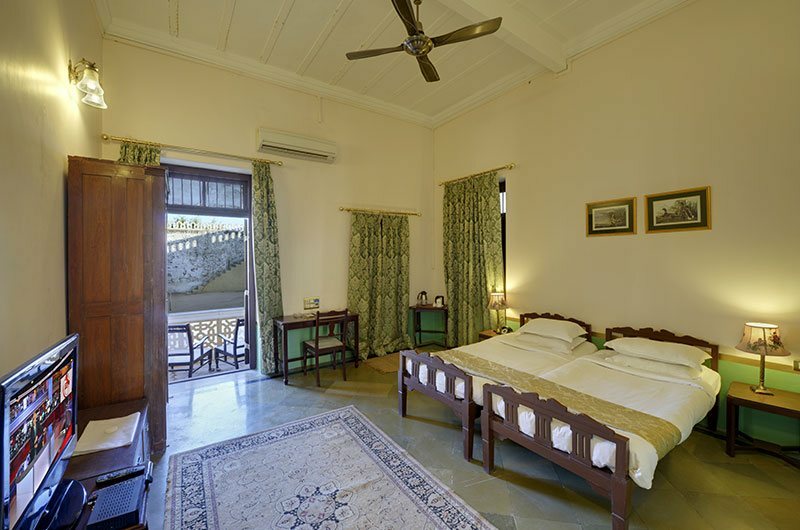 All palace rooms are air conditioned. They are equipped with an ensuite bathroom with facilities like hot and cold running water and basic toiletries. This heritage hotel provides laundry service, conference facilities, pickup and drop facility from the airport and railway station. The hotel accommodates a lush green lawn which is an ideal place for functions, parties and weddings. Dining: The property homes a restaurant where guest can have scrumptious food.